Think Compliance is a Podcast created by Compliance professionals to give healthcare organizations a general overview of Compliance issues today. Welcome to another Episode of Think Compliance. In this episode, we are talking about the upcoming the HCCA’s 22nd Annual Compliance Institute. The event is in Las Vegas from the 15th of April to the 18th of April. Join in our discussion with Ahmed Salim, a Compliance Professional, and Dagmar Austin of Compliatric. For our new listeners, ComplyGuys & Compliatric created this podcast series to assist healthcare and compliance professionals in building their programs. In each Podcast, we discuss a new compliance topic and provide insight on how to ensure your organization is following best practices. • Local Las Vegas tips on where to eat and what shows to attend! Hot off the press, our latest Podcast is now available! 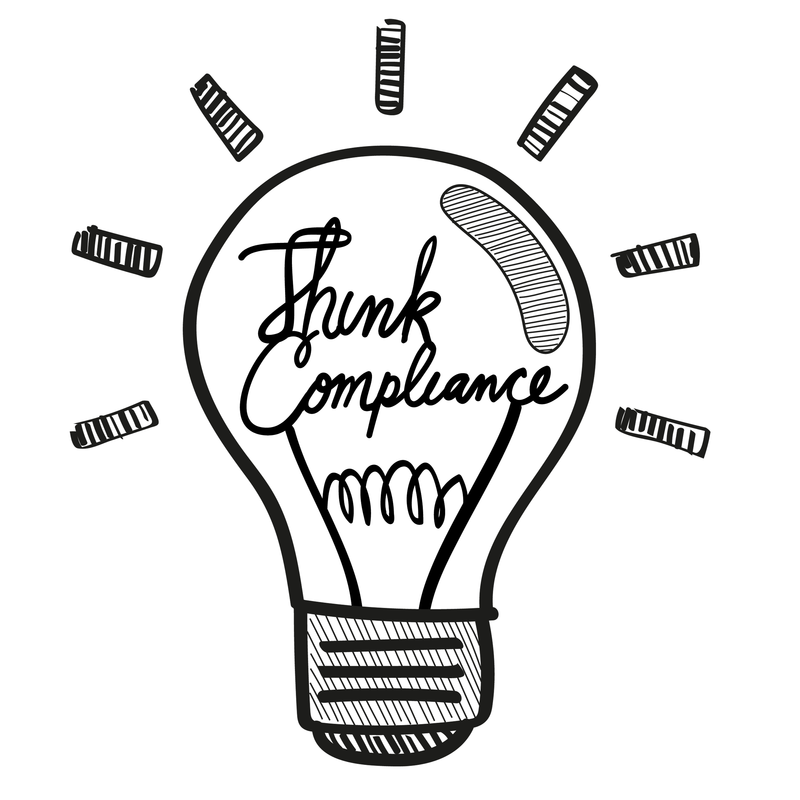 For our 14th episode of Think Compliance, we are diving deep into “Conducting an Internal Compliance Investigation." With the changing landscape of healthcare, increasing governmental regulations, and the need to have an effective compliance program, it is extremely important for your organization to conduct and document investigations when potential issues arise. This episode features Ahmed Salim, a Compliance Professional, and Dave Monaghan, Co-Founder of Compliatric. For our new listeners, ComplyGuys & Compliatric created this podcast series to assist healthcare and compliance professionals in building their programs. In each Podcast, we discuss a new compliance topic and provide insight on how to ensure your organization is following best practices. Case study discussion to understand how an investigation could have helped MediSys Health Network Inc.
For questions or information- hit us up on Twitter: @ThinkComply. For Information about ComplyGuys, please contact ahmed.salim@complyguys.com. For questions or information about Compliatric please contact dmonaghan@compliatrc.com. Please join us as we discuss the importance of Non-Monetary Compensation Exception to Stark Law. This episode features Ahmed Salim, a Compliance Professional, and Dave Monaghan, Co-founder of Compliatric, an integrated compliance program management solution. For our new listeners, ComplyGuys & Compliatric have created this podcast series in order to assist compliance professionals in building their program. In every Podcast, we will discuss a new compliance issue and provide insight on how to ensure your organization is following best practices. For questions or information about please contact: ahmed.salim@complyguys.com. For questions or information about Compliatric please contact: info@compliatric.com or go to www.compliatric.com. Hot off the press, our latest Podcast is now available! Please join us as we discuss the importance of Business Associate Agreements. BA Agreements are required for all associates of an entity who access some form of Protected Health Information (PHI). HIPAA and the HITECH Act require BAAs. Listen as we discuss some of the problems facing Business Associate Agreements, and how to ensure your organization is following compliance standards. The episode features Ahmed Salim, a Compliance Professional, and Brad Phillips, Director of Sales for Compliatric. For our new listeners, Comply Guys & Compliatric have created this podcast series in order to help compliance professionals build their program. Every podcast we will discuss a new compliance issue and provide insight on how to ensure your organization is following best practices. For questions or information about please contact: ahmed.salim@complyguys.com. For questions or information about Compliatric please contact: bphillips@compliatric.com or go to www.compliatric.com. Hot off the press! Our latest Podcast is available, join us as we break down the HCCA-OIG Resource Guide. The resource guide was put together with a number of compliance professionals and staff from the department of Health & Human Services. The goal was to discuss ways to measure effectiveness within a compliance program. The episode features Ahmed Salim, a Compliance Professional, and Brad Phillips, Director of Sales for Compliatric. For our new listeners, Comply Guys & Compliatric have created this podcast series in order to help compliance professionals build their program. Every podcast we will discuss a new compliance issue and provide insight on how to ensure your organization is following best practices. Hot off the press! Our latest Podcast is available, join us as we the last and most important Element of an Effective Compliance Program: Responding to Detected Problems. The episode features Ahmed Salim, a Compliance Professional, Dave Monaghan, Co-Founder of Compliatric and Brad Phillips, Director of Sales for Compliatric. For questions or information about ComplyGuys please contact: ahmed.salim@complyguys.com or go to www.complyguys.com, or for questions or information about Compliatric please contact: bphillips@compliatric.com or go to www.compliatric.com. An important element to any Compliance Program is Enforcing Standards through Well-Publicized Guidelines. The episode features Ahmed Salim, a Compliance Professional, and Brad Phillips, Director of Sales for Compliatric. We are excited to present an expert guest on our show: Walter Johnson, Director of Compliance and Ethics for a Federal Government Contractor. Also, we have Ahmed Salim, Co-Founder of Comply guys, and Brad Phillips, Director of Sales for Compliatric. What should a Compliance Officer report to the Board of Directors? How frequently should you report, and what items should be reported. What kind of trends should be reported? Comply Guys and Compliatric will be at the 21st annual HCCA Compliance Institute in Washington DC. March 26-29, 2017. Stop by our booths for a chance to win great prizes and to learn more about our services. This episode includes Ahmed Salim, Co-Founder of Comply guys, and Brad Phillips, Director of Sales for Compliatric. The Fifth Element of an Effective Compliance Program: Conducting Internal Monitoring and Auditoring. The episode includes Adam Bunnell, a Compliance Professional in Northern California who specializes in Monitoring. Also we have Ahmed Salim, Co-Founder of Comply guys, and Brad Phillips, Director of Sales for Compliatric. This episode covers what an audit consists of, what Monitoring looks like in accordance with AHIA.